Teacher in organ, improvisation, hymn playing, music history, as well as organ building and design at the Vienna Church Music Conservatory; high-school music teacher since 1991, repeatedly guest professor at the University of Music, Vienna. Doctoral studies in organ performance at the University of Kansas in Lawrence (2001–2003) as well as Director of Music at the local St. Lawrence Catholic Campus Center. 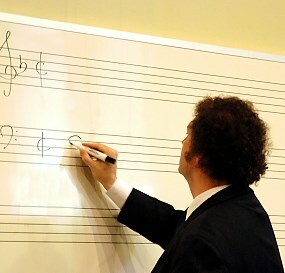 Appointment as lecturer of hymology and figured bass at the University of Music in Graz (2008-2011). Seminars in organ improvisation and repertoire, particularly in liturgical organ playing. Clinician at numerous church music conferences (artistic director of the international church music conference Laudate Dominum and the Austrian National Week of New Sacred Music). Director of the Vienna Church Music Conservatory (2010-2012). Wolfgang Reisinger conducting the Vox célestes in Baden!